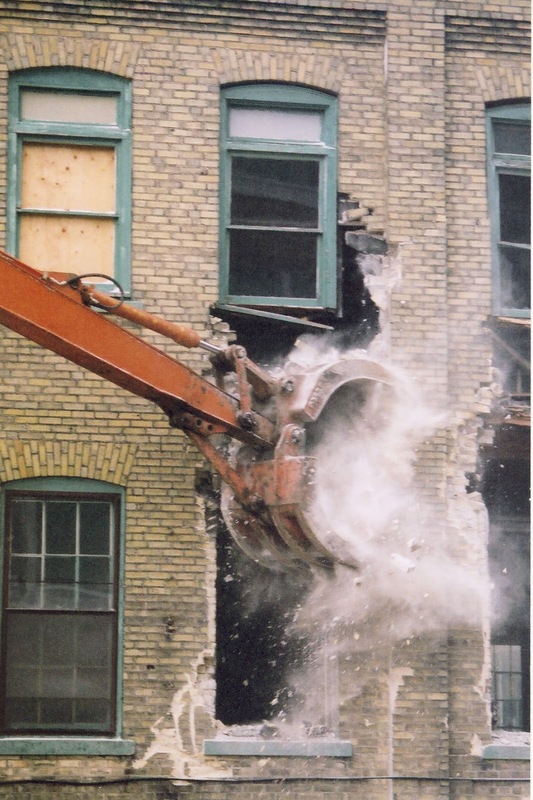 OHA+M (Ontario Heritage Act and more): Wish list changes to the OHA, #2 … or, two-way demolition appeals? Wish list changes to the OHA, #2 … or, two-way demolition appeals? Ka-boom! Another heritage building bites the dust. What if even one of those people had appealed the council’s decision under the Ontario Heritage Act? Of course, no such appeal right exists. Could it? We’ve been looking at possible changes to the OHA — and this is one of the biggies! 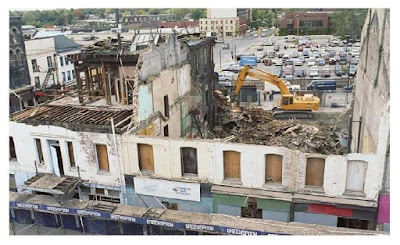 There is a strong argument that third parties — members of the public — should be able to appeal the decision of council to approve a demolition. 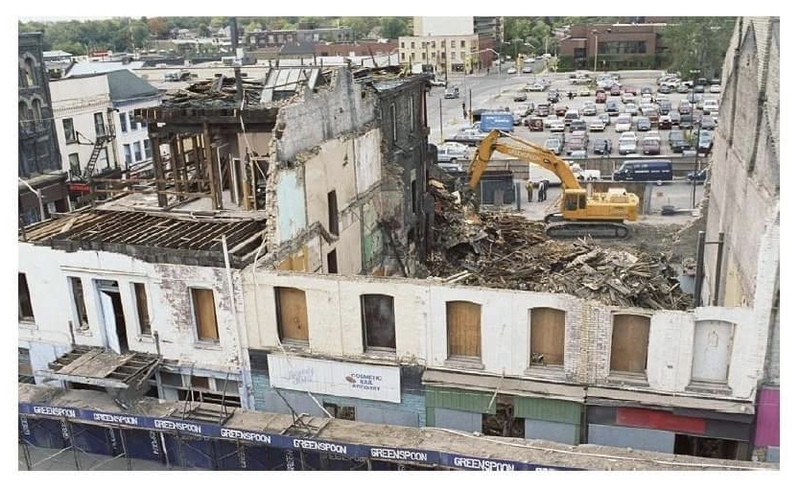 But as for extending the right of appeal to third parties aggrieved by the municipal decision to give the green light to demolition, it was felt this had not been adequately explored and discussed with stakeholders. There was a sense that it might upset the development industry whose support for the legislation (tepid at best) was important for securing its passage. Put another way, the provincial government in 2005 was attempting to juggle a number of competing interests and new public rights of appeal seemed a stretch too far. In 2017 this deserves another look. The starting point when analyzing policy changes of this sort is to see how comparable or analogous situations, if any, are handled in the same statute. Let’s begin with the process for alterations to a designated building. How does the OHA treat appeals in this case? Here we get into the difference between a review and a binding appeal. True to its name, the Conservation Review Board reviews municipal (and some other) decisions. If you (the owner) don’t like the municipal decision on your alteration application you can “appeal” to the CRB for a hearing and report, with the municipality making the final decision. But only you can have the matter put to the CRB; third parties who don’t like the municipality’s decision (approving a major alteration, say, such as a façadism treatment) can’t. So while the appeal body and the nature of the appeal (review versus binding appeal) differ, we can say that the relatively new process for demolition appeals is much like the longstanding process for alteration appeals. No third party involvement. But what if the demolition approval and appeal process is really more akin to another process in the OHA — de-designation. For something that (fortunately) does not get invoked much, the Act actually has two procedures. If you are a municipal council wanting to repeal your designation by-law, section 31 applies. But if you are an owner wanting to have the designation removed from your property, you can use the application process in section 32. 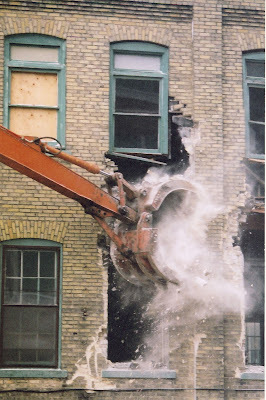 In either case the usual purpose of de-designating a property is to pave the way for demolition. Until 2005 the two de-designation sections worked differently. If the initiative to remove the designation was council’s (section 31), things proceeded very much like the standard designation process in section 29. Council would have to consult with its municipal heritage committee, where there was one, and give notice to the owner and to the public (and to the Ontario Heritage Trust). The owner or any person could object to the designation removal, resulting in a referral of the matter to the CRB. However, if the owner initiated the removal of the designation (section 32), there was no public notice requirement and the “appeal” process was much like the alteration approval process we looked at above. If the municipality said no, the owner could have the matter referred to the CRB for a hearing, etc. But if the municipality agreed to remove the designation, nobody else could object. This “loophole” was closed with the 2005 changes to the OHA. Now if the owner applies under section 32 to remove the designation, and the municipality refuses, the owner can still refer the matter to the CRB — but if the municipality okays the application to de-designate, public notice must now be given and anyone can have the issue referred for a hearing. So how does this help us with our question about public appeal rights from demolition approvals? Well, if demolition is more like de-designation than alteration, with comparable public and private interests at play, one could argue it should be treated in a similar way. Meaning that there should be a public right to object to a decision to approve the demolition of a designated structure. (b) the Board has ordered that the municipality give its consent …. This provision essentially mandates de-designation, in whole or in part, where the municipality consents to demolition. In other words, if you can get approval to demolish the heritage building on the property that was the reason for the designation in the first place, the designation has to be repealed. If demolition effectively means de-designation, and the de-designation process entails a public right to object, then shouldn’t …?